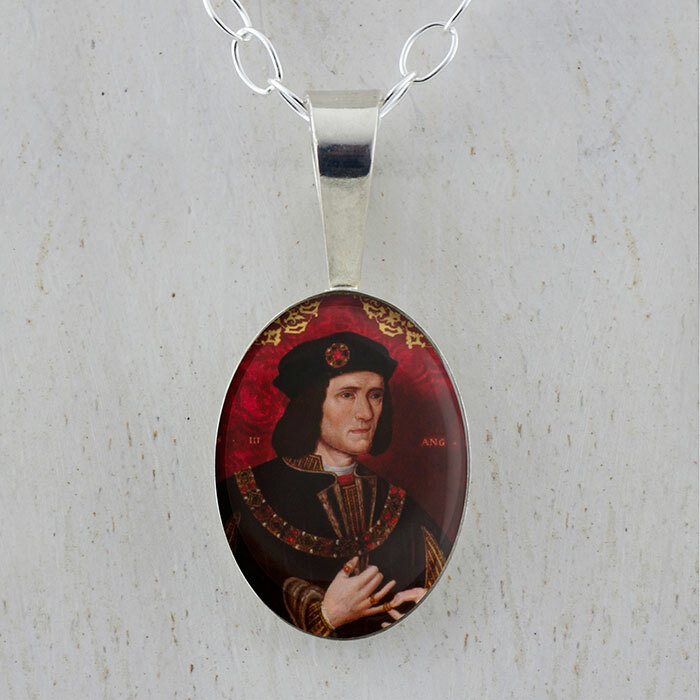 This beautiful, unique and collectible pendant features a portrait of King Richard the III that I have revamped, by an unknown artist from the late 16th century. Richard III was the final king from the House of York. He was defeated for control of England at the Battle of Bosworth Field, the final battle of the Wars of the Roses. Henry VII then began a reign of The Tudor Family that ruled for the next 120 years. His story is the subject of William Shakespeare's play Richard III. The end of his reign has also been declared the end of the Middle Ages.